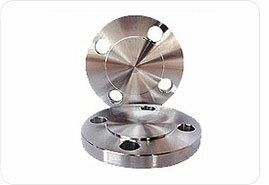 We are offering a superior quality of Blind Flange which is manufactured with high grade of raw material. We have various sizes and dimensions available and can also customize clients demand with detailed specification. It is manufactured in accordance of requisite norms and standards and is delivered within a given time frame.